If you are shopping for a used car in Clarendon Hills, but need something that fits comfortably within your budget? At INFINITI of Clarendon Hills, we have a large selection of used cars under 15k. No matter our preferences, you will be able to easily find something best suited for your needs at a price you will love – even if you don't head home in a INFINITI. It doesn't matter if you're looking for cheap used cars in Clarendon Hills, a used luxury SUV of another make, or something else completely, you will find a lot of great choices in our used inventory under 15k. Be sure to peruse our online inventory before selecting the used car you would like to take out for a test drive near Elmhurst. 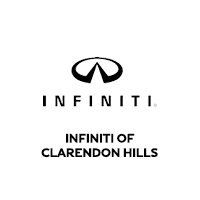 INFINITI of Clarendon Hills wants to make sure your car-buying process is as smooth and pain-free as possible! Contact us online anytime for additional information. Browse our inventory of vehicles under 15k, get an estimate on your monthly car payments with the payment calculator, and plan your visit from the Downers Grove area. Do you want your purchase to be more cost-effective? Consider trading in your vehicle!